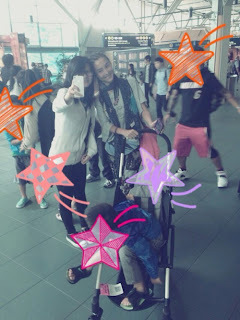 The Hong Kong actress and her boys, Lucas and Quintus Tse, recently returned from a vacation in Canada. 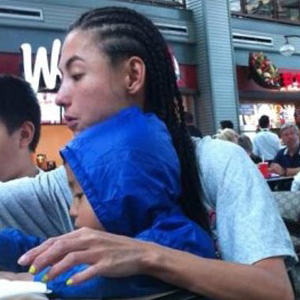 Despite attempts to keep a low-profile, Cecilia Cheung and her sons’ whereabouts are constantly being revealed by netizens online. Just recently, the mother of two was spotted at Canada’s international airport for a flight back to Hong Kong. In the photo, the 33-year-old Cecilia seemed to be in a good mood and not at all affected by the recent reports of ex-husband Nicholas Tse’s new romance with Chinese actress Zhou Xun. According to reports, the two had met up secretly in Beijing last week and this may have fuelled Cecilia to return to Hong Kong with sons Lucas and Quintus. However, this did not appear to be the case when Cecilia touched down in Hong Kong on Sunday. Not only was the actress in high spirits, she was friendly and approachable when fans requested for photos. This led members of the public to believe that the actress had simply just returned from a holiday to Canada with her boys.